I am here with a Lab Rat report from the hot and humid city of Houston, where receiving a bottle of this Rosé was the most welcome surprise. The first thing my husband and I noticed when opening the bottle was the strong citrus and passion fruit on the nose. Very fresh, but not astringently so. First sip showed a dry, tart first impression with lots of grapefruit. It seemed a little hot at first, but after a couple of sips this seemed to dissipate. Lots of fresh star fruit, grapefruit throughout the mid palate. The finish was a little tart, which I enjoyed but my husband seemed to think had too much acid. While I think the Rosé would be a nice match with grilled food (we would probably do fish), it stands very well on its own for a great refreshing wine to sip outside on one of these sweltering hot days. At this price point especially, I would be more than happy to keep several ‘on hand’ for entertaining or bringing to a barbecue. We appreciate the opportunity to Lab Rat for y’all! We’d be more than happy to help again any time in the future. @lmcclintock thanks for the notes. Did you drink the wine cold, medium cold, or room temperature? Did you get any grapefruit pith? We enjoy our roses more on the chilled side. Thanks! @losthighwayz we cooled it down in the wine cooler where we keep our white wines, so I’d say around 50 degrees. Our second glass was warmer, which is where more of the grapefruit flavors came out. We didn’t get any bitter pithy flavors though. Hope that helps! Moderators: the winery link takes me to winesmith! Hmmm, perhaps a hint to the near future?? I’m curious how this compares to the recent North by Northwest offering. That was about as big of a rose as I like, preferring lighter French styles. The case price here is quite compelling! Hey look I’m up for a release… must have the day off tomorrow. Happy 4th. Always luv me sum rose y’all! Any rats? Absolutely meaningless post as far as this wine goes but I really like the Fossil Point chardonnay that was offered here in May. Interesting note though, the chard and this rosé are both noted at a $16 price point. 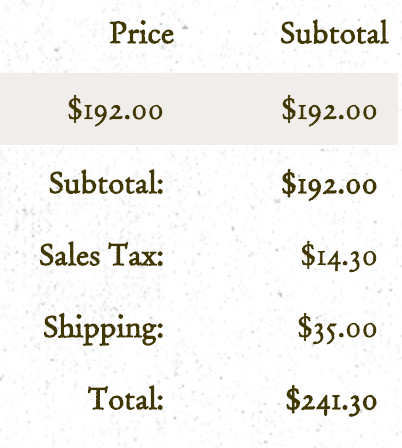 Yet the comp on the chard with shipping was $207 and the comp here is $241. Pale pink in color. Expressive aromas of passionfruit and citrus leap from the glass. Classic Provençal flavor profile of strawberry and melon, with a balance of acidity and fruit on the palate. Perfect with summertime meals of garden vegetables, wood-fired pizza, or nearly anything cooked outdoors on the grill. Our vines are rooted in cool-climate pockets along California’s Central Coast. Here, cold marine air moderates the daytime temperatures, and fosters perfect conditions for quality wine. For the Fossil Point Rosé, Grenache and Syrah fruit is hand-harvested and made in a ‘Direct-to-Press’ style, maximizing fruit character and smooth palate feel. Fermented both in neutral French oak and in temperature-controlled stainless steel tanks, it is bottled early to be enjoyed in the first year. Named for the rugged headland with sweeping views of the Central California coastline, Fossil Point pays tribute to the bond between sea and vine. Our vineyard sources are all in close proximity to the cold Pacific Ocean, and are shaped by the seasonal flow of its surface currents, sea breezes and fog. Our soils are composed of coarse sand and calcareous shales uplifted from the ancient seafloor and weathered into place over millenia. We farm with close attention to our delicate coastal environment always aiming for the highest sustainable quality from our land. Our winemaking is hands-on, small scale, and attentive to the individual needs of each lot of grapes. Fossil Point wines are crafted for high quality, approachability, and affordability for any occasion. Our ethos reflects the natural ease of Central California’s landscape, and the hospitality of our coastal lifestyle. @lmcclintock thinks you should bring this one to a BBQ. Why is it that most offerings ship to GA, but a small number of random selections, such as this one, can’t ship to GA? North Korean land clearing technique for new Central Coast vineyard? That is one low pH. I can imagine this is quite tart. Anyone in SoCal want a couple of bottles?